‘House of Cards’ is one of the best shows on Netflix? True or True? A huge reason why the political driven puzzle grabs your attention from the second you hear that intro and/or Frank Underwood pop up is none other than Mahershala Ali aka Remy. Throughout the series, he is constantly driven between emotion and his job / political obligations and entrepreneurial ambition. It must be that Bay Area DNA that keeps Ali humble despite his crazy talent. 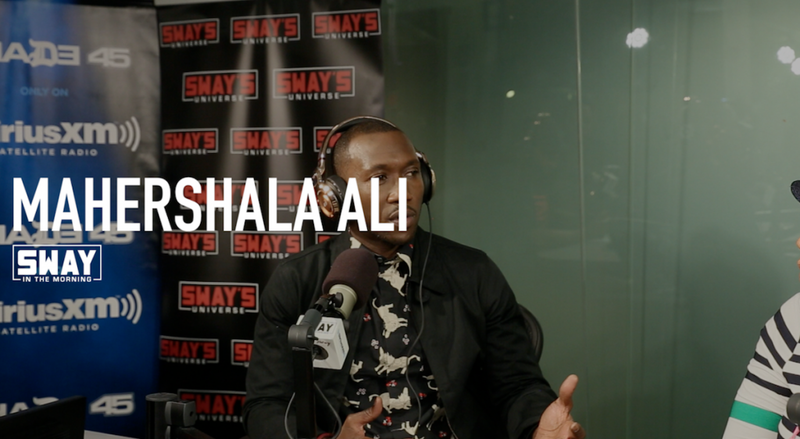 The Bay is feeling a little down after the Warriors loss to Cleveland but Mahershala makes a few legit points including the fact of how far the franchise has come. There aren’t many fans that can point back to the Sleepy Floyd days or even Manute Bol but then again that’s what makes sports so great, new great players and new energetic fans. But his love of Oakland goes beyond the Warriors and into the music that stemmed from early hip hop days, that Sway knows a lot about. In fact, Ali credits Sway and his partner King Tech for playing a pivotal role in his life as an Oakland youth and still to this day. If you thought he was dope on screen, check out the interview ASAP. Don’t forget to check out Free State of Jones in theaters now!